The Peak 2 wildfire burning 2 miles south of Frisco in July, 2017. The fire burned 84 acres of forest. 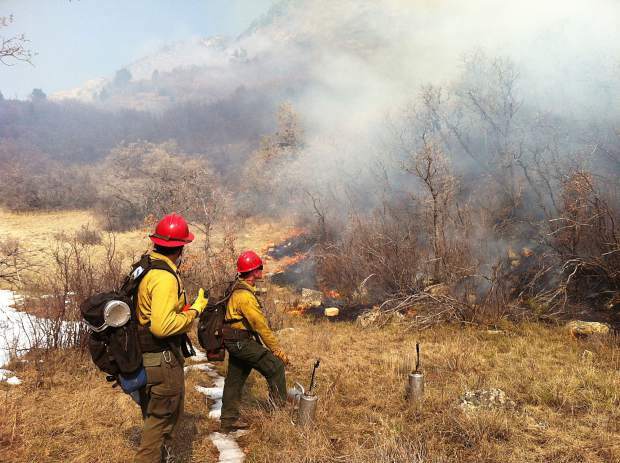 SUMMIT COUNTY — Forests are pretty resilient. They can regrow in the wake of wildfires and insect infestations, sometimes even stronger and denser. However, rising temperatures and larger wildfires are heavily testing that resiliency. For Colorado, it may mean that forests will look very different in the future. In particularly hot and dry areas, forests may not come back at all. 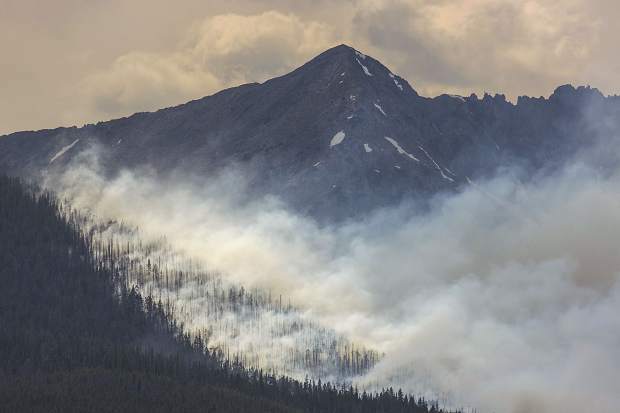 A presentation given at a bimonthly Forest Health Task Force meeting recently in Frisco offered sobering statistics about the impact climate change and wildfires are having on forest resiliency in the Rockies. Giving the presentation was Dr. Camille Stevens-Rumann, a fire ecologist and assistant professor of Forest and Rangeland Stewardship at Colorado State University. Stevens-Rumann’s research focuses on post-disturbance and post-fire forest recovery. Her research is informed by her experience as a former hotshot firefighter, those who are the best trained and experienced wildland firefighters in the country. Stevens-Rumann explained that several factors play a part in forest recovery: local ecology, elevation, aspect or side of the slope the forest grows on and seed availability. 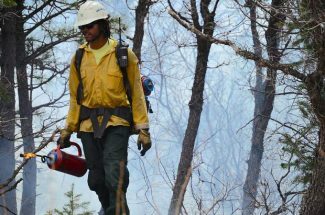 Much of the data was derived from the planting of over 60,000 seedlings at wildfire-affected sites across the Rockies. Over the course of her presentation, Stevens-Rumann showed the impact global climate change was having on seedling growth and forest regeneration. “We found at time periods where it was hotter and drier, there was a higher likelihood of regeneration failure,” Stevens-Rumann said. Regeneration failure occurs when trees fail to grow in an area, or it becomes more like grassland or some other topography. If a large area of forest is destroyed by wildfire, then distance from seed-bearing trees becomes an issue, as well. “Regardless of climate, if you don’t have a place where your seeds are coming from, you’re not going to regenerate,” Stevens-Rumann said. She added that even when forests do grow back, they often grow back with a different variety of tree species because of the changing climate conditions. A subalpine forest made up mainly of tree species that do well in cool, moist habitats, such as the lodgepole pine, might grow back as a mixed-conifer forest with more trees such as the ponderosa pine, which is usually found in hotter, drier habitats and at lower elevation. Another finding in the presentation came from observations at hotter, drier areas that had been hit by multiple wildfires of increasing intensity. The heat of those fires, increased because of abundant wood fuel and a lack of moisture, rendered the area inhospitable to tree regrowth. Years afterward, there was little to no forest regrowth, aside from short shrubs and sagebrush. While Summit County won’t have to worry about total forest regeneration failure due to high elevation, there are other ways the forests may change. 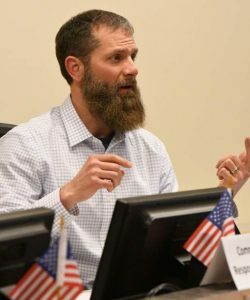 Howard Hallman, executive director of the Forest Health Task Force, said that Summit’s forests may not look the same or be as safe in the future. In suggesting how to manage forests to account for these changes, Stevens-Rumann prescribed increased efforts to thin and manage fuel-heavy forests susceptible to wildfires, as well as to grow the right type of trees that account for the changing habitat of the regrowth area. Hallman said that knowledge from the presentation should lead to better forest management practices. “I think these are prescriptions that should be taken into consideration for the forestland around here,” he said. Hallman added that it also showed how mountain residents should not take the forests for granted and assume that nature will always be able to recover in this age of accelerating climate change.